Pictured left to right: Three Oaks Elementary School Assistant Principal Tami Le Master, Shadow Wood Country Club Grounds Manager George Pittman Jr., Principal Jodi Moorhead, Shadow Wood Country Club Equipment Manager Yamil Codero-Soto, Three Oaks Elementary School Building Supervisor Jack Duffee and Lee County School District Vice Chair and District 3 member. 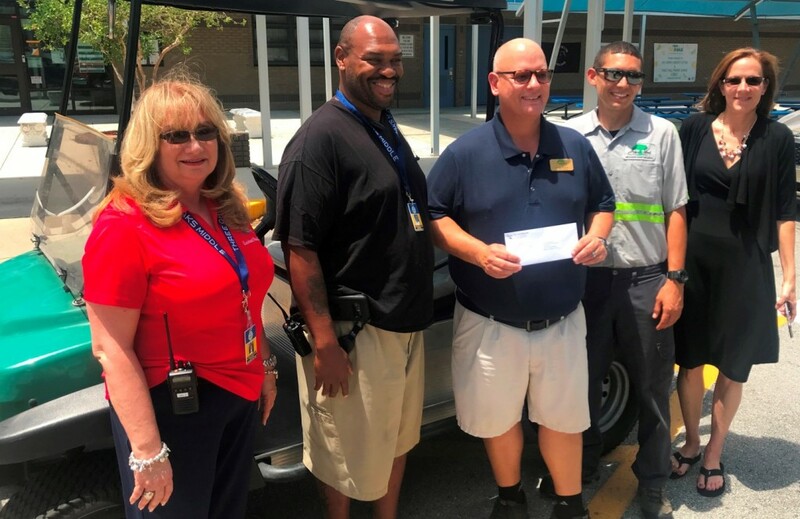 The Shadow Wood Community Associated recently presented a maintenance cart to Three Oaks Middle School and to Three Oaks Elementary School as part of Estero’s Education Initiative. The carts will be used by the Maintenance Department at each school for moving supplies around their campuses. District 6 Councilmember Nick Batos is the Council Liaison for Estero’s Education Initiative. Three Oaks Middle School Assistant Principal Belinda Huber, Three Oaks Middle School Head Custodian Tony Evans, Shadow Wood Country Club Grounds Manager George Pittman Jr., Shadow Wood Country Club Equipment Manager Yamil Codero-Soto, and Lee County School District Vice Chair and District 3 Member. 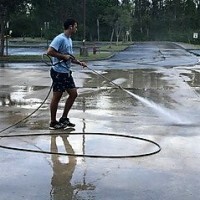 In June of 2018, The Club at Grandezza made the decision to donate manpower and equipment to power wash the Campus at Pinewoods Elementary School before school start-up. 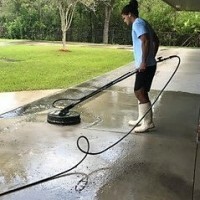 This Project is one of the results of a Memorandum of Understanding Agreement signed between the Village of Estero and the School District of Lee County. School Board Member Chris Patricca and Councilman Nick Batos of the Village of Estero were most instrumental in making that happen. The Estero Council of Community Leaders Education Outreach Council was charged with recruiting community support and volunteers to meet the Estero area school’s needs. 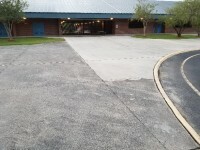 Pinewoods Elementary School’s limited funds prohibited the school from implementing a program to clean up the school grounds. 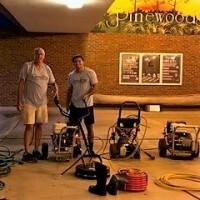 Stacey Henson (General Manager, The Club at Grandezza) and Club Maintenance Supervisor (Scott Moorehead) offered to complete a Power Washing Project for Pinewoods Elementary school as a donation from The Club at Grandezza to our community. The project required 5-6 days to complete. Beginning July 30, 2018, the project continued for 4 -5 days and each project work-day commencing at 6 am. Stacey and Scott not only authored the project, but Scott literally was there every day in the trenches. “To say that I am overwhelmed and grateful is an understatement at best…WOW! What an incredible gift! Our school will look just amazing! Thank you just isn’t enough.” Leslie Gunderson, Principal, Pinewoods Elementary School LeslieAG@LeeSchools.Net. Junior Achievement’s core belief is no one can improve their circumstances without a belief in themselves and a sense of purpose. JA believes a missing element in education is teaching our youth major life skills like money management, career readiness, and entrepreneurship. Councilman Nick Batos, the Village of Estero’s liaison to Lee County Schools, collaborated with the Lee County School Board and the Principals of our Estero schools to evaluate how to best utilize Estero Council of Community Leaders (ECCL) JA Ambassador volunteers to make the most of their talents and experiences for the benefit of our students. 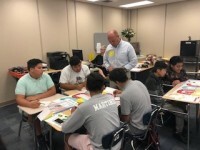 Collaborating with Junior Achievement of Southwest Florida, the ECCL’s Education Outreach Council (EOC) implemented a full-scale initiative to engage volunteers to serve our young people in Lee County Schools located in the Estero area. is a major EOC initiative. The major initiative’s purpose is to teach our children the “language of success” and help them understand how to succeed in the game of life. Currently: the EOC has exceeded the recruitment goal of eighty JA Ambassadors for Estero-area schools for the School year 2018 – ’19. Of 83 volunteer Ambassadors, 42 live year-round In Estero- area; 41 are here 3 – 6 months a year. 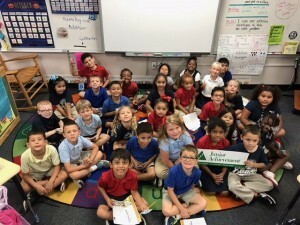 JA Ambassadors serve as role models, helping students make the connection between what they learn and how it can ultimately impact their lives. JA Ambassadors can be the catalyst to help inspire a change in attitude. Junior Achievement of Southwest Florida offers you opportunities in Estero to give back to our community and the children in our schools. There are no hard and fast qualifications. A variety of positions are now available including tutors, mentors, and many others. Time commitment can be what fits your schedule. You are invited to participate. Supporting and teaching our children is a very rewarding and memorable experience for both you and our students.